Why the alphabet keys on the computer keyboard are not arranged in the sequence order? Why the Inventor jumbled the alphabet and made inefficient and confusing for the users? If you got the same doubt, Here is the answer for you..
Today’s computer keyboard is based on the QWERTY layout, designed by the inventor of the typewriter, Christopher Latham Sholes in 1868. The QWERTY name comes from the first 6 letters of the top alphabet row. When Sholes built his first model, the keys were arranged alphabetically in two rows. He had found a problem, that was key jamming when the typist worked too fast. But Sholes was able to figure out a way around the problem simply by rearranging the letters. 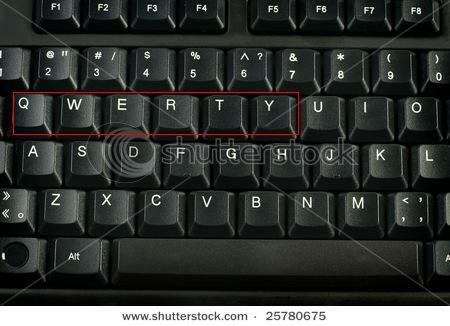 He just split up the most commonly used letters in the design, so that typist can type slowly and hence there will be no key jamming problem. Lastly he came up with the QWERTY design. 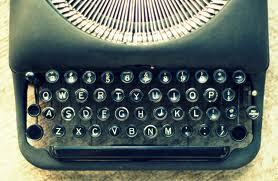 The final design made sure the word “TYPE WRITER” could be typed just from the top row. And lot of courses came teaching users how to get fast typing. And today the key jamming is no longer a problem with computer keyboards. But the QWERTY remains in standard use, and people habituated to it. Its a very simple reason that we had ever thought :) But this is the Exact Reason why the keyboard is like this! Thank you Harish. Plese do regular visit for more updates.